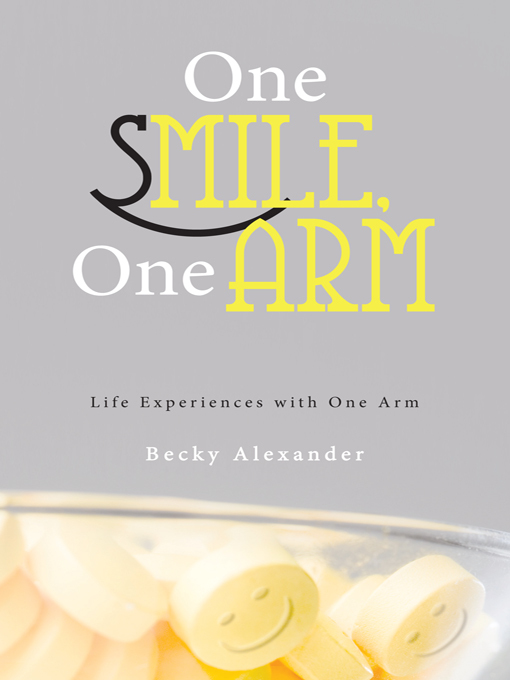 One Smile, One Arm is available in paperback ($11.99), hardcover, and eBook. You can also order at Amazon, WestBow Press, other book sites, and local bookstores. In “Dumbest Question,” Becky is asked if she’s right-handed or left-handed. In “Crushed,” a stranger says Becky’s family must have done something bad for her to have been born with one arm. In “JFK,” Becky’s mom writes a letter to the President of the United States, and gets a response! In “Friday Night Lights,” Becky’s dad manufactures a prosthetic hand using the mechanism from an ice-cream scooper. In “Bionic Woman,” the “Six Million Dollar Man” comes to Becky’s rescue. In “Capitol Hill,” a United States Congressman helps Becky when her arm activates security alarms in Washington, D.C.